On this Shivjayanti that marks the birthday of Chhatrapati Shivaji Maharaj, we take a look at some of the lessons that talent leaders can learn. 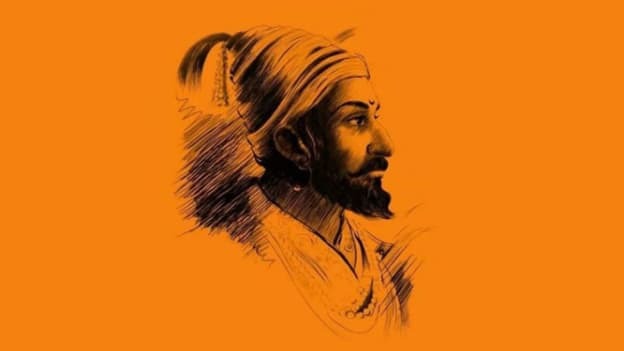 From the battlefield to the boardroom, the popular Maharashtrian king Chhatrapati Shivaji Maharaj possessed qualities that can directly apply to the corporate world in the 21st century. On the eve of this legendary leader’s birthday, let’s talk about some of his characteristics that HR professionals and talent leaders can aspire in order to become better leaders and managers in their respective fields. For many organizations, the mission statement is not just another document. In order to truly create an engaged workforce and a passionate set of employees, it is crucial for leaders to inspire and lead by example. Shivaji Maharaj was a leader who was able to instill the love for freedom and motherland among all the members of his army. There was such a high level of commitment that the “Mavalas” i.e. the members of his army were ready to die for the cause. He was able to win over the hearts of his people with his humanity. Moreover, he motivated everyone to work for a specific cause which enabled his troops to remain focused and continue to achieve Swarajya or self-rule. He practiced what he preached and even entered the battlefield himself on several occasions. When your employees see leaders taking up the tasks that they are assigned to, it instills a level of confidence in them as well. No one person can possess all the knowledge required to run a business or for that matter, a kingdom. Keeping an open mind for new warfare techniques was Shivaji’s specialty. He studied cannons and rifles to ensure that his soldiers were also equipped with the right weapons. Shivaji surrounded himself with experts in various fields from Samarth Ramdas who was his Guru in Warcraft to his mother Jijabai who had the futuristic outlook towards the impending dangers of war and Dadaji Kondev who was his coach who helped him in his battle decisions. Picking out the right mentors in order to build one’s own capabilities is a crucial quality that a talent leader can possess. In an age of digital transformation, it is more than essential to identify opportunities for learning and molding oneself in order to meet the dynamic talent needs. Shivaji had the foresight of a free and united India many years prior to the Independence wave that swept up the nation. He was one of the few leaders who established Swarajya in his territory and was able to sow the seeds of freedom in Maharashtra. A fair and just leader, he had the foresight of chalking out a roadmap for success and continue on the path without quitting. Today’s leaders have lots of data and predictive analytics at their disposal. They can make use of these tools and create a groundbreaking path for their respective organizations. In a way, most leaders have a futuristic outlook as to where they want their companies to be in the next decade or more. It is important to have the courage to trust those instincts and data in order to make actionable attempts towards success. These qualities of a historic leader can help managers of today turn into inspiring leaders. Emulating these qualities and implementing them into the daily corporate scenario can not only be beneficial for your personal leadership goals but also take the organization to a different level of success.